We got our first Blue Apron box today and we decided to cook the buffalo chicken sandwiches first! It took us about 40 minutes and everything was so simple. The nicest part was the time we spent together focusing on the aspect of the meal we chose and not being distracted by the TV or radio. 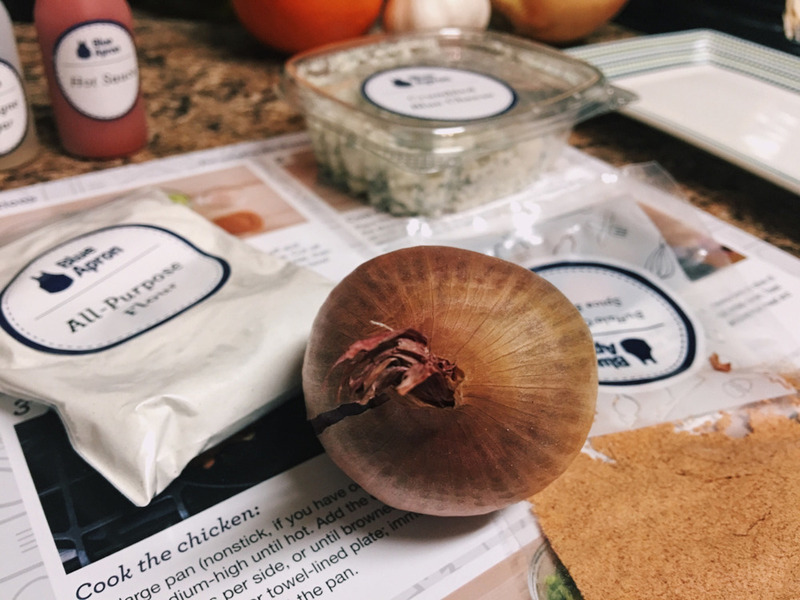 I was nervous about ordering from Blue Apron because I read some reviews ahead of time that said the portions were small but we had way too much food, especially the salad. Each sandwich had two chicken thighs and I gave one to @hunterandgatherer to finish off. It was fresh, tasty, and way better than the average frozen chicken patty you’d get at a restaurant. That’s saying a lot considering I never eat any chicken other than breast meat. I’m excited to cook more meals this weekend!